Celebrate the most wonderful time of the year with your beloved pet this Christmas. With nothing to lose, Laura sets up a session with a life coach, who tells her to make 12 wishes for a positive change to get her life and her dog back before Christmas. 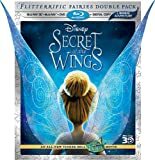 Invites audiences to join Tinker Bell and friends on their new adventure into the never-before-seen mysterious Winter Woods, where Tinker Bell finds out that she has a sister and discovers other incredible secrets that will change her life forever. Adam is done being the nice guy after his girlfriend dumps him for someone more exciting. He realizes that every girl loves a bad boy, and the only way to get a girl is to be a jerk. Armed with a new attitude, he rules the school, reaching rock star status. For Mike (Sean Astin) and Rodney (Michael Vartan), life is good at the Treadline Tire Company. As topline salesmen, they strut through the cubicles, taunt smarmy underling Ken Don't Call Me Kenny! Castro (David Cross), hold court at their exclusive lunch room table, and cavort at strip clubs with their boss Bob Farrell (Klein). But when Farrell's unexpected departure puts Castro in charge, the guys find themselves demoted and demoralized.